Using Clearsnap Ink on Metal Dies Tutorial! My first Clearsnap® post is on the blog! I have a quick tutorial on how to use ink with Sizzix metal dies. This is fun, easy and gives a really cool look. It breathes new life into using the dies you have, and it’s a great way to use up scraps too! This technique is shown on Sizzix Thinlets dies, but works on all chemically etched dies such as Spellbinders and more! Be sure to visit the Clearsnap Blog for my tutorial (and pin it too!) and then enter to win in the March Craftness Giveaway while you’re there! 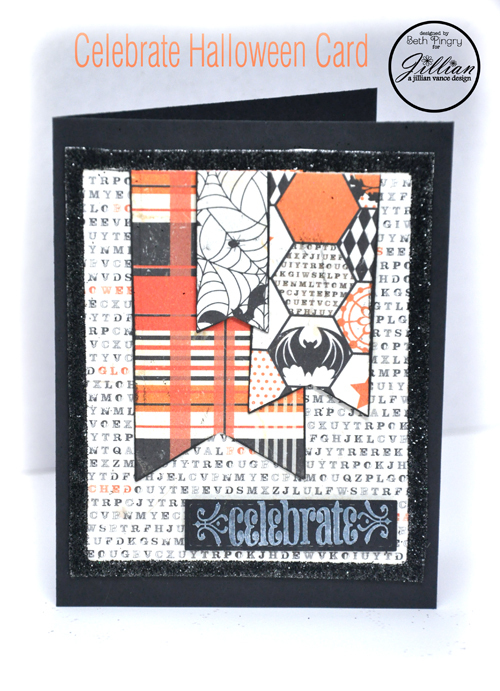 Hi everyone, just a quick post with a Celebrate Halloween Card for A Jillian Vance Design. All the details and close up pics are on the AJVD blog, thanks for stopping by! Hello, just a quick note to let you know I’m on A Jillian Vance Design today with a quick and easy Autumn Blessings card. I’m playing with negative and positive die cuts. Thanks for coming in today! Today’s card is my second as this month’s Guest Designer for A Jillian Vance Design. I used the Daily Doilies Stamp and Die Set Combo. Thanks again Jillian and Bunny, for this wonderful opportunity! You know how doilies are so trendy right now! I love that I could make the background any color, and use any embossing powder too! So I decided to go with black and white, LOL! I love how it pops! The intricate design is beautiful, and the image was perfect the first time! 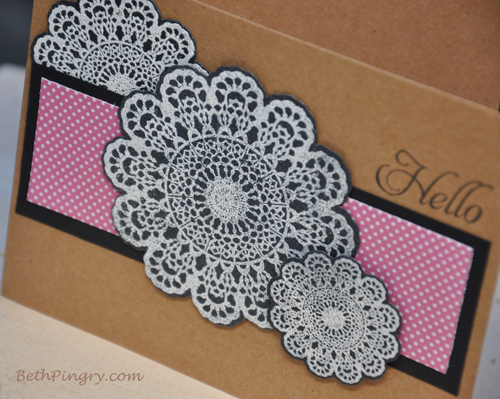 I stamped the doilies onto black cardstock with black ink, then heat embossed with white embossing powder. It’s easy to line up the dies with the images and run them through the die cutting machine! I used Scrapbook Adhesives by 3L® E-Z Dots® Permanent on the background paper and top left doily. I used Thin 3D Foam Squares on the center, and regular size 3D Foam Squares on the small doily, to give them dimension. This versatile set comes with the 3 doily stamps, 3 dies, and several phrases perfect for card making! I know I’ll reach for this set A LOT!